Complete & complimentary wet dog foods for all ages. 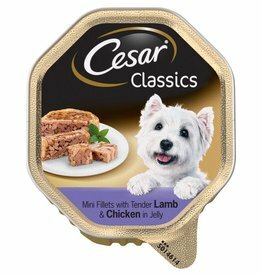 Quality pet food made with carefully selected ingredients. Quality dog food made with carefully selected ingredients. Tender loaves with a delicate core of garden vegetables. James Wellbeloved Adult Dog Food Grain Free Pouch 100g Complete Wet Food Lamb with Vegetables for adult dogs. James Wellbeloved Adult Dog Food Grain Free Pouch 100g Complete Wet Food Turkey with Vegetables for adult dogs. James Wellbeloved Adult Dog Pouch Turkey & Rice 150g. Wellbeloved pouches are excellent for dogs with ingredient and nutrient intolerances. James Wellbeloved Adult Dog Pouch Turkey & Rice 150g. Wellbeloved pouches are excellent for dogs with ingredient and nutrient intolerances. Full box of 10. James Wellbeloved Adult Dog Pouch Turkey & Rice 150g. Hypo-allergenic. Wellbeloved pouches are excellent for dogs with ingredient and nutrient intolerances. James Wellbeloved Adult Dog Pouch Turkey & Rice 150g. Hypo-allergenic. Wellbeloved pouches are excellent for dogs with ingredient and nutrient intolerances. Full box of 10. 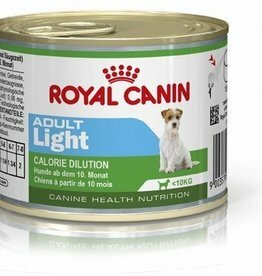 Royal Canin Adult Light Wet Dog Food Can is a wet food with a high fibre and low calorie content for small breed dogs over 10 months old, which have a tendency to put on weight. 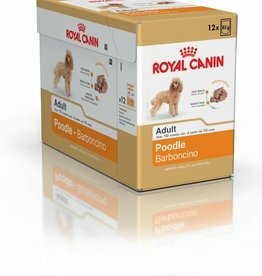 Royal Canin Pouches for Adult Poodles 85g. A wet food pouch, specially formulated to help nourish and condition your poodle's coat from the inside out. 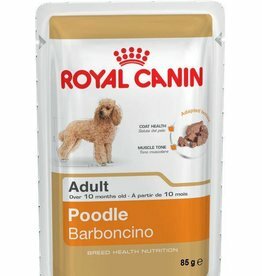 Royal Canin Pouches for Adult Poodles 85g. Full Box of 12. A wet food pouch, specially formulated to help nourish and condition your poodle's coat from the inside out. 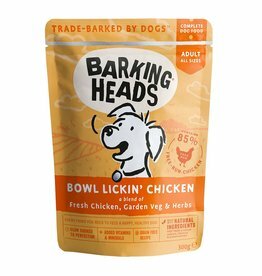 Barking Heads Beef Waggington is slow cooked to paw-fection using only the best quality, natural ingredients. Barking Heads Wet Dog Food Bowl Lickin’ Chicken 300 is slow cooked to using only the best quality, natural ingredients. with added vitamins & minerals. contains 85% free-run chicken.